Warning: This is going to be another annoying review. You have been warned. So, last week was the Booktubeathon. Basically, it’s a read-a-thon that began on Youtube (ahem … Booktube!). My goal was to read 7 books in 7 days, but I only made it to 5. ::sad face:: But, it’s totally fine! Yeah… because I read 5 books in 7 days. And how cool is that? 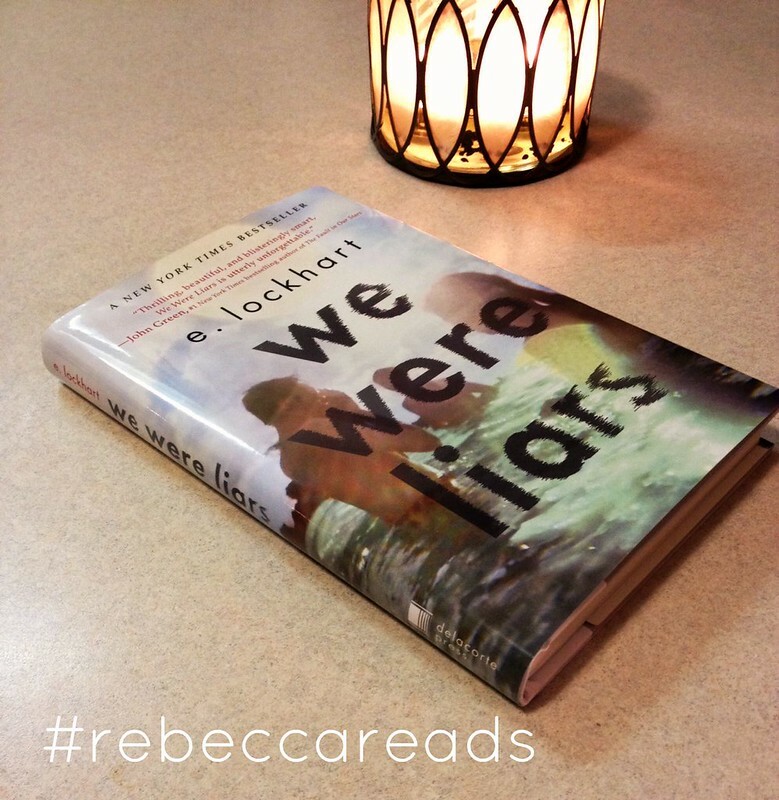 Anyways, one of the books I read was We Were Liars by E. Lockhart. Now, this book was huge last summer, so I’m a little ‘late’ to the game. I am so glad I saved this for a read-a-thon. I finished this within one day. I had to put it down a few times throughout the day, but I had it finished by dinner time. This story centers around Cadence, whose very rich family owns an island off the coast of Martha’s Vineyard. Every summer, her mom and her mom’s sisters and all of Cadence’s cousins, along with her grandparents, spend the summer together on the island. There is a house for each family, and the kids basically run free. The story focuses on one particular summer, which is called summer fifteen (the summer that Cadence and her oldest cousins were 15 years old). Something bad happens during that summer, and Cadence is left with amnesia. She can’t remember what happened to her, and no one in the family will tell her. Fast forward two years later, and she returns to the island for the summer and is finally piecing together the pieces of summer fifteen. If you decide to read this, go into it blind. I recommend not reading spoilers. This story is best when you don’t know anything. The experience of this story was so great, it gutted me. It’s one of those stories that will stay with you.